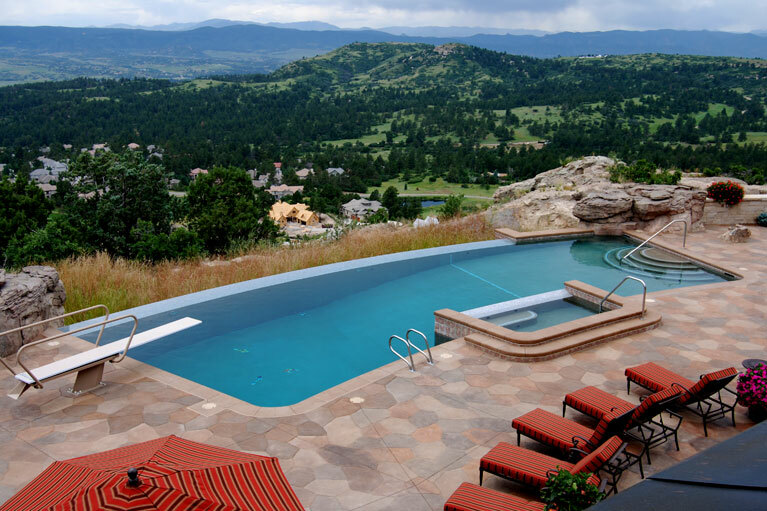 This homeowner, whose house lies in the foothills of Castle Pines Colorado, wanted an outdoor swimming pool that harmonized with the rural surroundings. The rocky mountain boulders were perfectly positioned to flank this infinity edge pool, framing the view to where you don’t really know where you are.Coupled with the views there’s not a more majestic sight to behold. This is truly one of our favorite projects of the last 30 years.